There is no fighting with this pillow. It is simply stunning in its simplicity but powerful in its message. Believe in one possibility every nite before bed so you can create an awesome life. 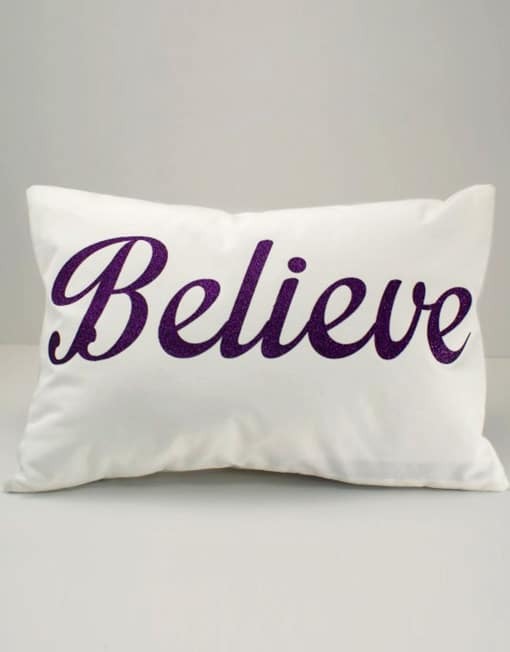 Go to bed and wake up with “BELIEVE” in front of your eyes and in your dreams. 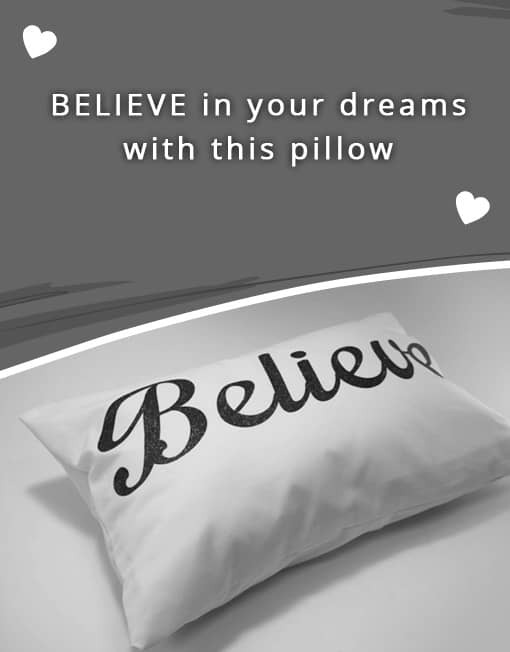 This pillow makes a great gift for that person who is stepping into BELIEVING that she is divine, awesome and amazing just the way she is.